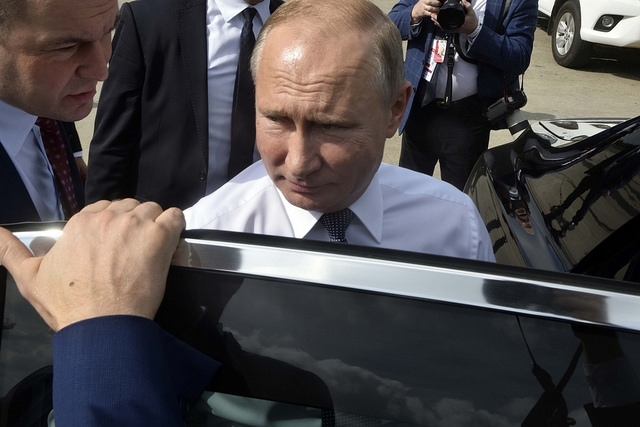 Vladimir Putin, President of Russia, alleged that the foreign intelligence services stepped up activities after discovering that hundreds of spies attempted to carry out their works in the country. The president claimed that in 2018, Russia caught 600 spies so their works were foiled. According to BBC News, Vladimir Putin did not go into details but mentioned that last year, “129 staff members and 465 agents of foreign special services were foiled." The poisoning of the former agent, Sergei Skripal was also assumed to be one of the plots that were successfully executed by the Russian spies. Moreover, the report also stated that other nations including the Dutch, Czech and Swedish intelligence asserted that they too have thwarted spy attacks. With Russia's FSB security service officers’ in the audience, Vladimir Putin said in his speech that they must work efficiently especially when it comes to protecting their country’s documents regarding the development of weapons systems. "We see foreign intelligence agencies trying to increase their activity towards Russia, seeking by all means to access political, economic, scientific and technological information," the Russian president said. Meanwhile, Vladimir Putin is also set to sign a new law on imposing imprisonment punishment on anyone who will disrespect the Russian government online. He passed the law already but the formal signing was set in the coming weeks, then it will be implemented at once, The Guardian reported. Vladimir Putin approved the controversial law that was authored by Andrei Klishas, a senator who is also under the president’s United Russia party. The law will put people in jail for online “disrespect” of government or state officials. Offenders will be fined and if the same offense is repeated, the fine will be doubled or the person will be jailed for 15 days. The new law passed by Vladimir Putin was criticized and people are concerned because it was vaguely written. They said that almost any online criticism including memes could be taken as disrespectful so they are worried.